Finna Emping Belinjo. 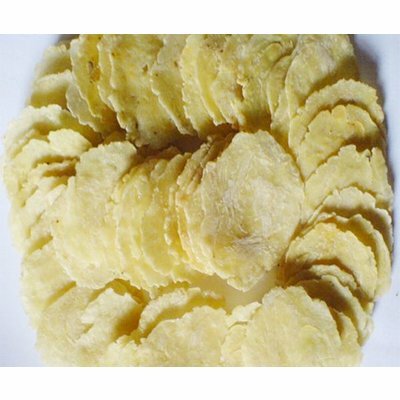 Emping is an Indonesian chips simular to krupuk crackers, but it is made from ripe, peeled melinjo nuts. Before it can be eate, it need to be fried in hot oil for a few seconds. Emping has a slightly bitter taste. 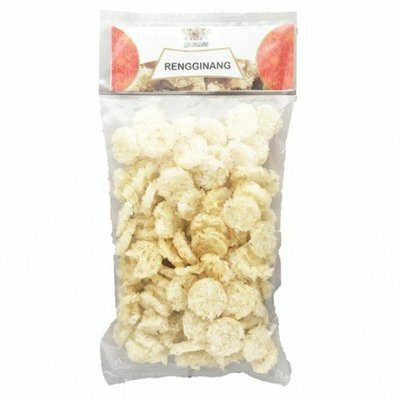 In addition to the ordinary emping there is a sweet, hot variant (emping Balado).